A member of the New York bar and counsel to Patterson, Belknap, Webb & Tyler LLP in New York, where he concentrates his practice in the area of tax-exempt, not-for-profit organizations. He edits the firm's newsletter for such organizations. 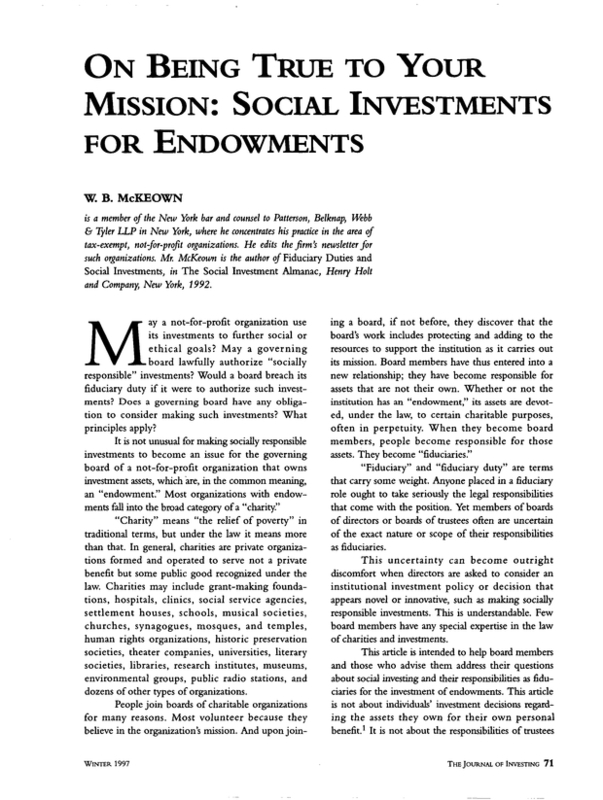 Mr. McKeown is the author of Fiduciary Duties and Social Investments, in The Social Investment Almanac, Henry Holt and Company, New York, 1992.